Today's most cost effective way to reach new customers! SauteeLive can do it for you! SauteeLive can record, edit and produce your event! SauteeLive offers reasonably priced video recording and production for your band, business, event, or whatever memory you want to preserve. SauteeLive is also producing instructional videos for artists. SauteeLive is producing a new series of instructional videos for artists. Artist/art teacher, Dianne Mize, demonstrates a large variety of tips and techniques for oil, acrylic and watercolor. Join the over 20,000 subscribers that enjoy her clear and easy-going style of instruction. For full length video lessons available for download or on DVD, visit www.diannemize.com for more details. Now conducting Live Workshops online! 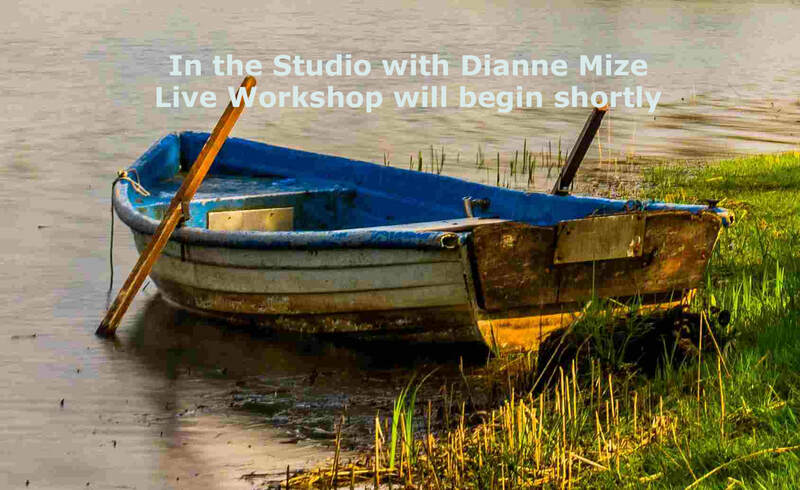 Go to www.diannemize.com for details. Welcome to the SauteeLive website! We are working on putting together a dynamic and extensive list of services to help you stay in touch with the world. Along with video production we currently have iPhone instructional classes, setup and maintenance of social network pages for businesses, and setup of LAN and WLAN (wi-fi) networks for home and business. SauteeLive will create a video for streaming online or DVD/Blu-ray of whatever you can think of. We also offer other technical support for computer and electronics that you have around the home. We look forward to hearing from you when you're in need of technical assistance.